By “more,” Ryan Sweeney might be referring to 180 different bottles of whiskeys in one bar. 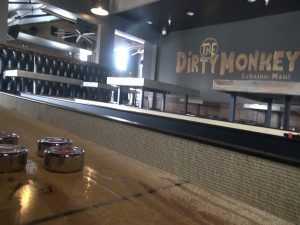 Namely, The Dirty Monkey Bar, which just opened today at 844 Front Street in the building that housed Moose McGillicuddy’s for more than 30 years. Renovations took many months, and involved a complete overhaul of the plumbing, electrical and decor. The owners, who comprise The Goat Group, have eight other bars in Los Angeles, most named for animals, like The Surly Goat, The Blind Donkey, The Little Bear and The Phoenix. 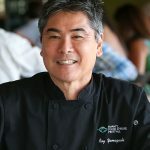 Lahaina’s Dirty Monkey, also the nickname of a co-owner, is the group’s first venture outside of California, after wanting to branch out and make Maui a second home. 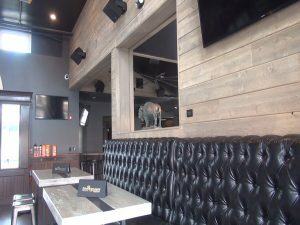 Co-owner Matthew Robb calls the build-out a “labor of love, ” and says he wants to honor the authentic, good-time vibe of Moose’s while adding some modern twists, like new food and bar selections. 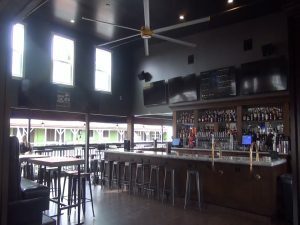 “We had a vision to make it a bar that was going to keep the ‘ohana, where people came when they get off work, where they knew they could come to have fun, as well as create a new buzz with some good whiskeys,” he says. 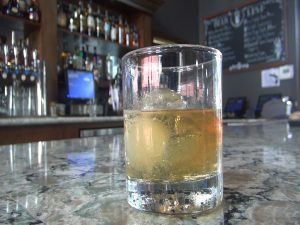 Co-owner/bar manager Sweeney says they’re aiming to have 300 whiskeys in stock by this time next year. That includes the notorious, 144-proof Octomore, but there are also tamer selections. 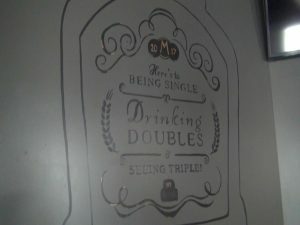 Sweeney appreciates the liquor’s sense of tradition; for instance, he explains how bourbon can only be made in the United States, using some of the strictest guidelines for whiskey. He was “bit by the bug” of whiskey after tapping in to a passion for beer many years ago. 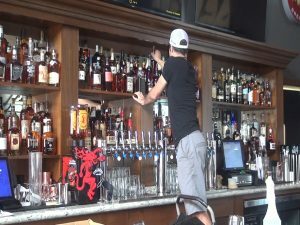 The Dirty Monkey Bar in Lāhainā aims to be known for its specialty whiskeys. Photo by Kiaora Bohlool. 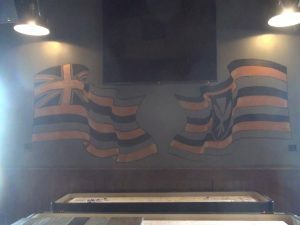 Wall art at The Dirty Monkey, now open on Front Street in Lāhainā. Photo by Kiaora Bohlool. 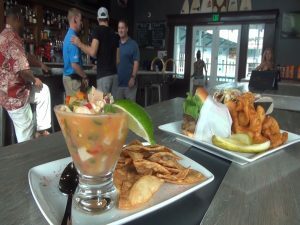 Ceviche and more at The Dirty Monkey bar, newly opened in Lāhainā. Photo by Kiaora Bohlool. 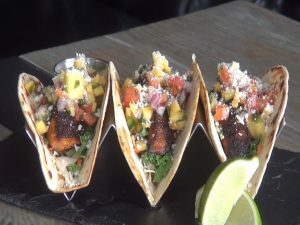 Fish tacos, on the menu at The Dirty Monkey Bar in Lāhainā. Photo by Kiaora Bohlool. Slap Burger at The Dirty Monkey in Lāhainā. Photo by Kiaora Bohlool. 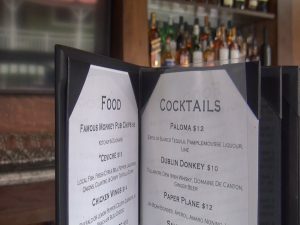 The Dirty Monkey’s food and cocktail menu. Photo by Kiaora Bohlool. Decor at The Dirty Monkey in Lāhainā. Photo by Kiaora Bohlool. The Dirty Monkey in Lāhainā. Photo by Kiaora Bohlool. 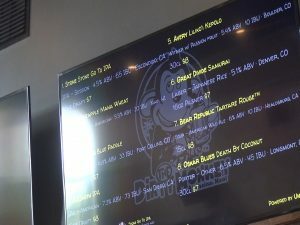 Craft beer menu screen at The Dirty Monkey in Lāhainā. Photo by Kiaora Bohlool. Hawaiian flags at The Dirty Monkey, in honor of the flag at Moose McGillicuddy’s, formerly in that location for 30+ years. Photo by Kiaora Bohlool. Shuffleboard at The Dirty Monkey bar on Front Street in Lāhainā. Photo by Kiaora Bohlool. 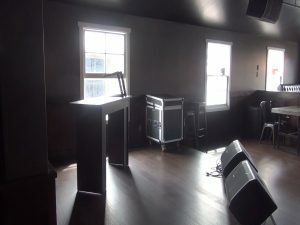 Entertainment stage at The Dirty Monkey in Lāhainā. Photo by Kiaora Bohlool. 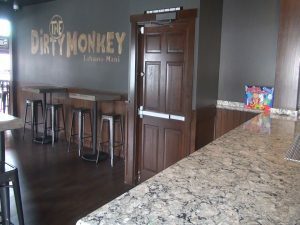 Co-owners set up the bar at The Dirty Monkey in Lāhainā. Photo by Kiaora Bohlool. 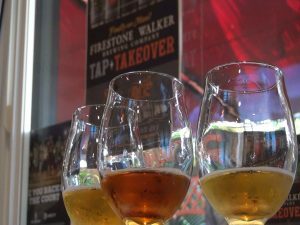 The group, which started one of the first craft beer bars in Los Angeles, will also have 16 unique brews on tap in Lāhainā. 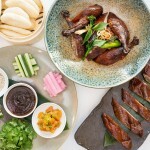 Along with the craft beers, specialty liquor and unique cocktails, the Dirty Monkey offers a small but quality food menu with options like ceviche, chicken wings, grass-fed beef and taro burgers, fish tacos and salads, made with as many local products as possible. 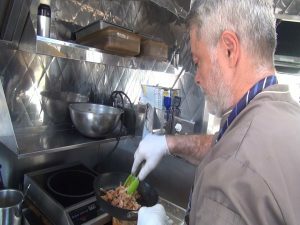 Sweeney says he hopes to help create memories for customers, whether locals or visitors. 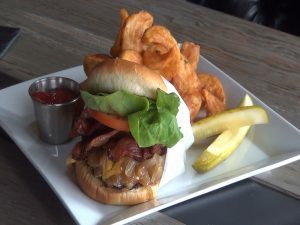 The Dirty Monkey is open seven days a week between 11 a.m. and 2 a.m., with happy hour spanning from 3 to 6 p.m. There are also plans for live music on Fridays and deejays with dancing on Saturdays. In fact, on New Year’s Eve, the bar will feature three deejays and no cover charge. The owners invite the public to come experience something new and vibrant on Front Street.